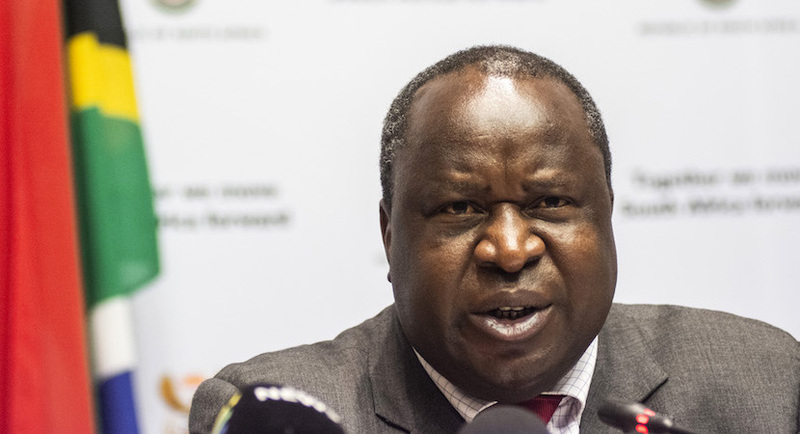 The Minister confirmed that whilst Government would assist Eskom to the tune of R23bn a year (specifically in order to enable it to meet its debt service obligations), Government would not be taking on any debt from Eskom. This financial support is conditional on the joint appointment by the Ministers of Finance and Public Enterprises of an independent Chief Reorganisation Officer who is to implement the recommendations of the Presidential Task Team (especially regarding the subdivision of Eskom into three independent components). Priority is to be given to the creation of a transmission subsidiary of Eskom Holdings, with an independent board, which will hold all existing Eskom transmission network assets. the changing nature of electricity systems, which are moving away from a vertically integrated monopoly model (such as Eskom) to an increasingly decentralised one. All of this has been obvious for years to any outsider who has taken the trouble to do a superficial analysis of Eskom’s finances and operations, but it is noticeable that the tone and content of Government comment on Eskom has now changed to reflect reality. This is also evident from the Minister of Finance’s comment in his speech that “Pouring money directly into Eskom in its current form is like pouring water into a sieve”. One at least has the impression that the matter is finally being taken seriously. The expenditure item payments for financial assets has been increased by R23.7bn in each year of the MTEF period. This sum is sufficient to subsidise Eskom, but it will not meet bailouts for other state owned enterprises, for instance, South African Airways or the South African Broadcasting Corporation. It is likely that some bailing out will be necessary in 2019/20, and possibly a part of the contingency reserve can help finance payments to other state owned enterprises, although it may well not be sufficient. Bailouts are likely to be accompanied by the appointment of reorganisation officers. The 2019 Budget reflects the government’s intention to curb the growth of the public sector wage bill. The 2018 Medium Term Budget Policy Statement projected an average nominal growth of 7.2% per annum between 2018/19 and 2021/22. The Budget reduces the growth rate to 6.8% per annum. Natural attrition, and active management of overtime and pay progression. Presumably pay progression would cease to be automatic within a salary range. Savings from early retirement of public servants. Most of the public wage bill reduction is expected to result from this scheme, and it is worth considering what it entails. An offer of early retirement will be made to public servants between the ages of 55 and 59, where feasible. Acceptance of the offer will be voluntary. The offer will be ‘without penalties’ which we interpret to mean that the length of service will be calculated on the assumption that beneficiaries retire at age 60. Pensions will be paid from the date of retirement. Departments are required to achieve a permanent saving of 50% of the cost attributable to early retirements. Qualifying public servants will have to weigh up the costs and benefits of taking the offer. The comparison will be between (a) the compensation they would receive if they remain in post less the pension they will receive and (b) the worth to them of increased leisure or new productive activity, or a mixture of both. There were 126 710 public servants between the ages of 55 and 59 in December 2018, and the Budget assumes that 30 000 of them will take up the offer. It is impossible to know in advance how well grounded this assumption is. The immediate consequence will be that Departments will save on their wage bills. However, they will have fewer people to do the same amount of work. They will be allowed to hire new people, but at a cost of only 50% of the compensation which would have been received by participants in the scheme. The aggregate public wage bill therefore drops. The scheme also has implications for the Government Employees Pension Fund, which now has to pay out additional pensions to participants from the date of retirement to age 60 (or death if it happens earlier). There is a (vague) promise in the Budget Review that the GEPF’s contribution will be repaid by the state over a longer period. Effectively, the government is taking a loan from the GEPF, on unspecified terms. At the same time, the Budget Review notes that the GEPF’s assets to liabilities position has deteriorated since 2016. The contributing factors are lower than expected investment returns, the introduction of new benefits and improvements to existing benefits. In addition, contributions to the GEPF were lower than actuarial assumptions. It is possible that all pensioners might have to bear a cost of lower annual cost of living adjustments to their pensions as result of the scheme. The two innovations both have precarious features. Emergency bailouts may require expenditure over and above that budgeted for. The early retirement scheme may not yield the budgeted savings and it creates a strain for the GEPF. Meanwhile the date at which the gross national debt to GDP ratio gets pushed further out in time and the stabilised level rises. The 2014 Budget projected that net national debt would stabilise at 44% in 2016/17. The 2019 Budget projects that it will stabilise at 57.3% in 2024/25. There is also a passage in the Budget Review that reads as follows: The estimated cost of this intervention is about R16bn over the next two years, of which a portion will be funded from the contingency reserve, and the balance by the Government Employees Pension Fund. There is no explanation of how the estimate of the R16bn was arrived at or how much will be financed from the contingency reserve. Charles Simkins is the Head of Research and Anton van Dalsen Legal Counsellor at the Helen Suzman Foundation.